Finding the right eyebrow shape for your face doesn’t have to be so difficult. In fact, once you figure out which eyebrow shape best works for you, you can instantly transform your look. 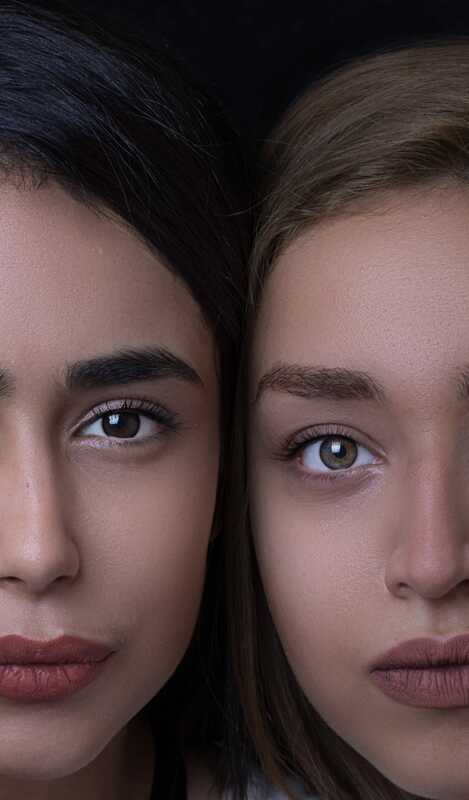 The power of the brow is very real, and we’re here to guide you on how to choose the eyebrow shape that’s most flattering to your face. Why? Because not all eyebrow shapes work with every face length, width and other facial features. Brows can make or break your entire beauty look. You should look for an eyebrow shape that complements all of your features. Best eyebrow shape: For people with round faces, it’s recommended to go for a brow that has a high arch. This makes the face look less broad, as it draws attention upward. More height equals to more length to the face, and can make your eyes appear more open. Stay away from rounded brows, as these brows can only draw more attention to your round shaped face. How to get the look: Because you’re aiming for a higher arch, you’ll need to look for a brow pencil or pen that’s a bit lighter than your natural brow color. From the start of your brow, draw soft feathers upward, and then as you reach the tail, slowly change direction to form the arch. Blend the product using an eyebrow brush or spoolie to make it look natural. Best eyebrow shape: Those with heart-shaped faces will fall in love with rounded brows that have low arches. What works for your face shape are soft, curvier lines that complement the roundness of the upper half of your face. And, because your chin area is a bit more sharp, be very extra careful not to create an arch that’s too high. How to get the look: Using an eyebrow powder kit, draw curved strokes through your brows, filling them in while creating a naturally soft shape. Don’t draw straight lines, as this can create a sharper brow, which is something you want to avoid. Best eyebrow shape: It’s a fact that the square face is the most defined look, so you’ll need to draw attention AWAY from the jawline. Do this by creating a thick brow that will really draw attention to the top half of the face. Make sure your brows are lined boldly — for this face shape, you shouldn’t hold back on using a lot of product. How to get the look: On top of your usual eyebrow product, use brow tint or brown mascara to make your brows look even darker. Best eyebrow shape: Aren’t you lucky! People with oval faces have it easy when it comes to brows. Your typical angled eyebrow will work, but you could also rock high arches as well as straight brows. Just don’t go overboard. How to get the look: Using the eyebrow makeup product of your choice, apply product through your brow hairs, following the natural curve. To make your brows look more clean, tweeze stray brow hairs underneath the eyebrow. Best eyebrow shape: Straight brows. This will make your face appear “wider”, evening out its length. How to get the look: Create a straight line underneath your brow. The, using a pencil or eyebrow powder, create soft strokes towards the temples. Be very careful that you don’t draw an arch! Blend the product out using a spoolie. If you want to know the best brow shape for your face, but aren’t quite sure, you can consult us during your microblading session. What’s microblading? It’s the best-kept celebrity secret to getting the perfect brows. Here’s why so many celebrities are microblading their brows.